The Edna Manley College of the Visual and Performing Arts presents the Rex Nettleford Arts Conference 2017, October 11 to 13. 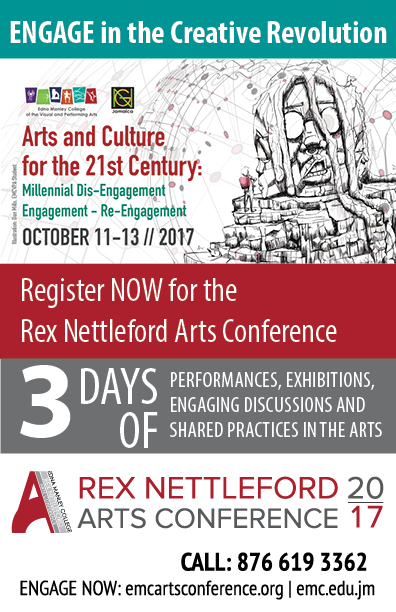 The Rex Nettleford Arts Conference 2017 kicks off on Wednesday October 11 with a Pre-Conference Culture Tour and a Corporate Tea Party at the Amphitheatre of the School of Drama at 7:00 PM. 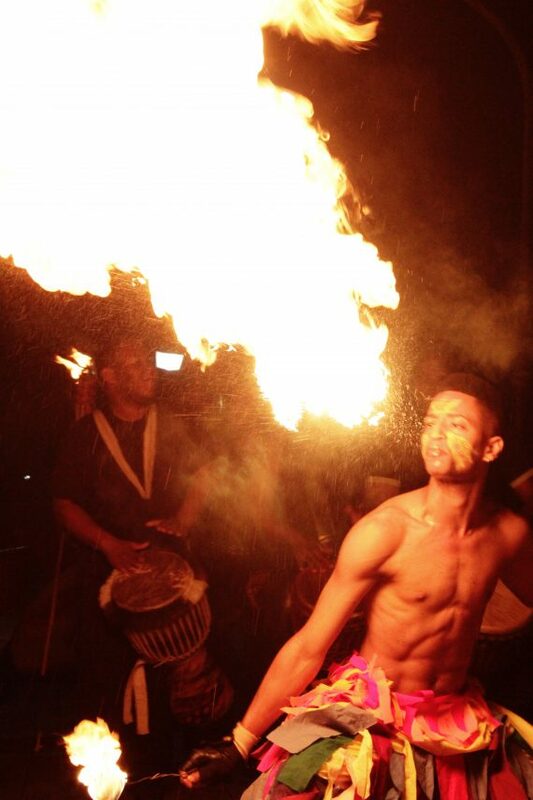 The official opening ceremony takes place at the end of day 1 of the conference with presentations which include performances and workshops and a keynote presentation by curator, editor and artist, Christopher Cozier from Trinidad. Established in 2011, the biennial conference honours the life and works of dancer, writer and scholar, Professor the Hon. Raltson Milton “Rex” Nettleford, founder of the National Dance Theatre Company (NDTC) and a major influence on the development of the Jamaica School of Dance. 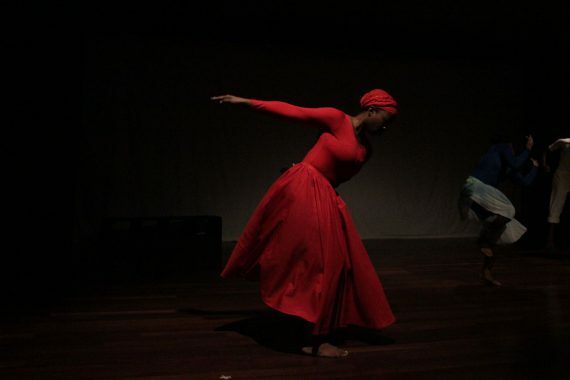 The Rex Nettleford Arts Conference brings together arts educators and artists from all over the world to share their knowledge and experiences as well as research in the creative and cultural industries. The theme for this year’s conference, “Arts and Culture for the 21st Century – Millennial Dis-engagement – Re-Engagement” comes against the background that the youth of today are somewhat disconnected to the presentation of arts and culture and explore how youths can be connected to the creative industries through technology. The conference will seek to create connections and parallels that will break stereotypes and marginalization of the arts that continue to impede its growth. The Edna Manley College of the Visual and Performing Arts (EMCVPA) is known for a rich tradition of excellence in the arts and the ONLY choice for higher education in the visual and performing arts and arts management. The College is housed in the culturally diverse city of Kingston. 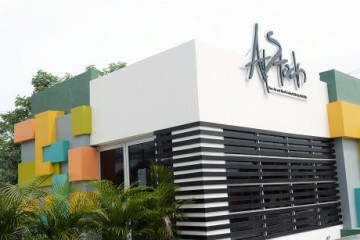 The College is invested in promoting the cultural diversity of the Caribbean and enriching the aesthetics sensibilities of its students through quality education and training in the visual and performing arts. With the School of Arts Management, the college further taps into the unlimited potential of the cultural and creative industries to bolster economies and create meaningful careers for its graduates. Steeped in the rich cultural tradition of the Caribbean, the EMCVPA has been developing and preserving arts and culture for over six decades, beginning with the establishment of the School of Visual Arts in 1950.